That should work, right? 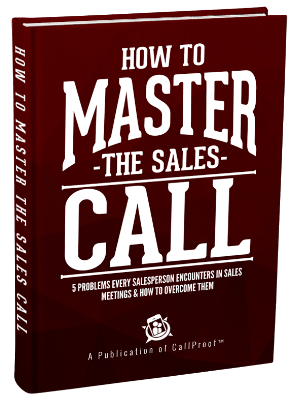 Surely your salespeople will get on board if their jobs depend on it. Even when people’s jobs are on the line, only 40-60% of sales reps are using their CRM — leaving your company with inaccurate data, stunted growth, and extra work. And if you only have half the data, you have nothing. When you’re trying to grow your business, you need the facts. If you’re missing 40-60% of the data, you can’t accurately make projections and plan for growth. A wise sales manager bases their projections, goals, and strategies on the data. 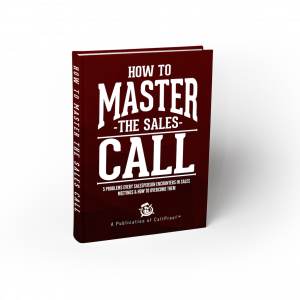 You need to know how many cold calls it takes to book an appointment and how many appointments it takes to a close a deal. Those numbers drive your expectations for your team and indicate if salespeople will hit their marks. If half the data is missing, those forecasts aren’t just slightly off — they miss the mark completely. Sure, you may grow a little, but that’s either dumb luck or growing existing accounts. 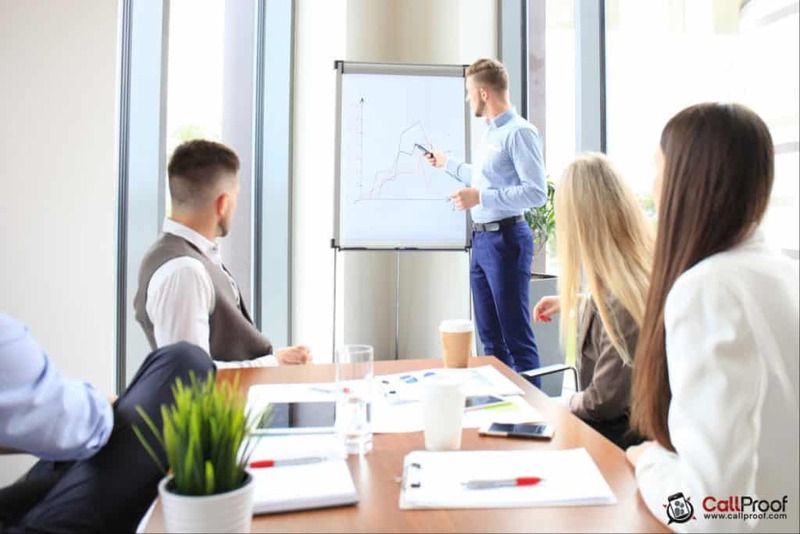 If you really want to boost your business, you need to be able to control your growth — and the only way to do that is to know what variables are present and what methods move new prospects down the pipeline. Salespeople hate using CRMs. They often have a system they’ve used for years and they don’t want to add hours to their workweek punching in data. But you need the data so you buy a CRM that has all the output features you need and hope your team will get onboard. Here’s how it usually plays out. You buy a new CRM. You set it up, roll it out to your team, and train them on the software. Then they just do what they’ve always done — write everything down. The only difference is now they have an added responsibility to keep up the software (that they didn’t pick) for five hours a week. Most salespeople weren’t hired because they’re awesome at data entry. You hired them to be out in the field meeting prospects, pitching the product, and closing deals. These CRMs then become a weight they’re dragging along as they try to keep up their regular workflow. They take a few steps forward, then lose time backtracking as they catch the CRM up to speed. Plus, delayed data is garbage. It’s not intentionally wrong — it’s just susceptible to human error. When you put a week’s worth of info in the system on Friday, details fall through the cracks. The data doesn’t accurately reflect what really happened. Not only is your team resistant to using the CRM — but when they do use it, the data is inaccurate. What’s the solution? You need usable software that reports real data in real time. 1. The software must match the workflow. Salespeople need a CRM that works in the field. If they’re out meeting clients all day, they need a way to update their data from their mobile device, not their desktop. And it needs to be quick — automatic if possible. 2. You need a CRM partner — not a vendor. If you want your CRM to work, you need more than a vendor — you need a partner to walk you through the entire process of CRM adoption. They spend their days setting up CRMs and bring their experience to you. When you set up a CRM on your own, you miss some key factors — not because you’re dumb, but because you lack experience setting up CRMs. Setting up a CRM is like doing repairs. If I need to change the drain in my dishwasher, it’ll take me all day and I’ll probably mess up a few times. But, if I call in the pro, they’ll finish in an hour. Why? They have experience. It’s not that I’m not capable of turning off the power, using a screwdriver, and watching YouTube — it’s just the first and only time I’m going to do this, so I won’t do it as well as a pro. A CRM partner is the pro that sets you up for a great start. They sell the idea of using the CRM to your team. They know how to present it so the sales reps see the value in using the CRM rather than viewing it as another box on the checklist. It’s not just about training — it’s about training from a perspective that works. CallProof breaks the cycle of ineffective CRMs. We partner with you and we provide a solution that’s easy to adopt. If you’ve been around sales a while, you’ve seen CRMs cycle through your company. You’ve tried CRM after CRM — each adding about 3-5 hours per week of extra work. People don’t adopt it, the data isn’t accurate, so management tries another one hoping it’ll be better. It won’t be. Interested in other tools that make your job easier? Check out 11 Essentials to Have With You in the Field. Companies that use CallProof have an 80-90% CRM adoption rate because it’s different from the CRMs you’ve used before. It doesn’t need those extra 3-5 hours a week to gather accurate data. It’s simple. It integrates with your existing calendar, email, calls and messages and keeps track of the relevant info. It doesn’t change what you do — it works alongside you. When you use a CRM like this, you won’t have to threaten people’s jobs for not using it. Using this tool makes sense. Recruiting New Salespeople? Don’t Skip These Steps.